Balmer, M. E.; Sulzberger, B. "Atrazine Degradation in Irradiated Iron/Oxalate Systems: Effects of pH and Oxalate," Environ. Sei. Technol. 1999,33, 2418-2424. 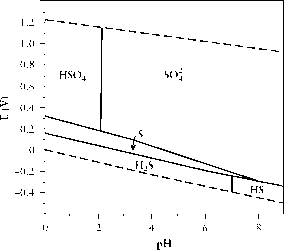 Hislop, K. A.; Bolton, J. R. "The Photochemical Generation of Hydroxyl Radicals in the UV-vis/Ferrioxalate/H202 System," Environ. Sei. Technol. 1999,33, 3119-3126. Hug, S. J.; Laubscher, H.-U. "Iron (III) Catalyzed Photochemical Reduction of Chromium (VI) by Oxalate and Citrate in Aqueous Solutions," Environ. Sei. Technol. 1997,31,160-170. Ibanez, J. G. "Redox Chemistry and the Aquatic Environment: Examples and Microscale Experiments," Chem. Educ. Int. (IUPAC) 2005, 6,1-7. Ibanez, J. G.; Miranda-Treviflo, J. C.; Topete-Pastor, J.; Garcia-Pintor, E. "Metal Complexes and the Environment: Microscale Experiments with Iron-EDTA Chelates," Chetn. Educ. 2000,5, 226-230. Llorens-Molina, J. A. "Photochemical Reduction of Fe3+ by Citrate Ion," J. Chetn. Educ. 1988,65,1090. Lockhart, H. B., Jr.; Blakeley, R. V. "Aerobic Photodegradation of Fe(III)-(Ethylenedinitrilo)tetraacetate (Ferric EDTA). Implications for Natural Waters," Environ. Sci. Technol. 1975,12, 1035-1038. McArdell, C. S.; Stone, A. T.; Tian, J. "Reaction of EDTA and Related Aminocarboxylate Chelating Agents with CoIUOOH (Heterogenite) and MnmOOH (Mangan-ite)," Environ. Sci. Technol. 1998, 32, 2923-2930. Porter, G. B. "Introduction to Inorganic Photochemistry: Principles and Methods," J. Chem. Educ. 1983, 60, 785-790. Porterfiel, W. "Photochemical Reactions of Transition Metals," Chapter 17 in: Inorganic Chemistry: A Unified Approach; Academic Press, New York, 1993. Stumm, W; Morgan, J. J. Aquatic Chemistry: Chemical Equilibria and Rates in Natural Waters; Wiley Interscience: New York, 1996. Tiemann, K. J.; Gardea-Torresdey, J. L.; Gamez, G.; Dokken, K.; Sias, S. "Use of X-Ray Absorption Spectroscopy and Esterification to Investigate Cr(III) and Ni(II) Ligands in Alfalfa Biomass," Environ. Sci. Technol. 1999, 33, 150154. Xue, Y.; Traina, S. J. "Oxidation Kinetics of Co (II)-EDTA in Aqueous and Semi-Aqueous Goethite Suspensions," Environ. Sci. Technol. 1996, 30, 1975— 1981.